Michael Kuhnke completed his legal education at the University of Konstanz and the McGill University Montreal, Canada. 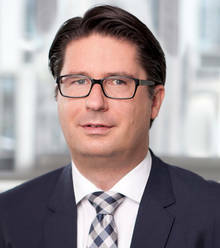 After his legal training, he joined the leading international law firm Freshfields Bruckhaus Deringer as a lawyer and worked there from 2005 until 2010 in the employment, pensions and benefits practice group in Hamburg. Michael Kuhnke has worked since 2010 for SCHRAMM MEYER KUHNKE and is a founding and active partner of this firm. Michael is the author of several publications on aspects of employment and corporate law. Legal 500 recommends Michael Kuhnke as a lawyer for employment and labour law in Germany. The German business newspaper Handelsblatt and Best Lawyers International list Michael Kuhnke in their ranking of the best German business lawyers. Michael Kuhnke specializes in individual and collective employment law, particularly in the context of mergers and acquisitions, outsourcings, corporate restructurings and the foundation of European Companies (SE). His advice focuses on all topics in relation to board level and senior executive service agreements and compensation structures as well as company pension schemes and flexible remuneration systems. Michael Kuhnke advises in German and English. He also speaks French and Spanish.